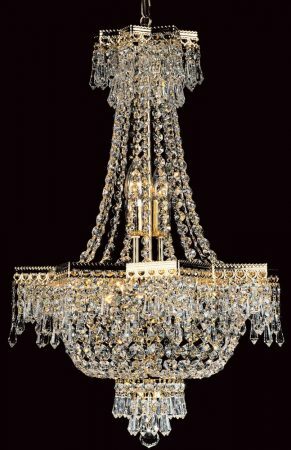 This Impex Star, Empire style 5 light Strass crystal chandelier in gold plate features chain suspension and domed ceiling cup, with a gold plated star shaped tiered frame, featuring draped crystal strings, faceted Strass crystal octagonal buttons, and spear point drops that completely envelope the light bulbs. A colourful array of hanging Strass crystal surrounding the five lamps that glow through the crystals for a sparkling light. 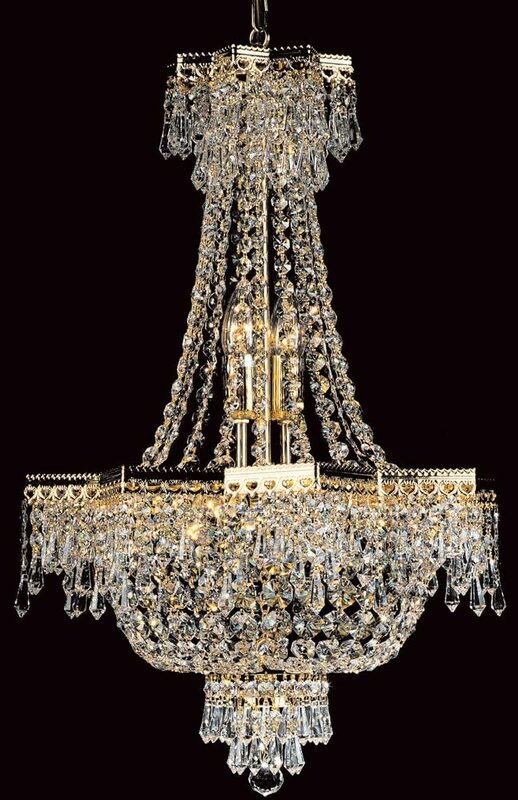 This is a traditional Strass crystal chandelier that is suitable for almost any interior style and will add a touch of sparkle to your room. The detailed gold plated frame and sparkling Strass crystals look great in any traditional décor and is a great source of illumination for a medium sized room, over a dining table, in a hallway, landing, bedroom or living room with sufficient ceiling height. There is a matching flush three light available in the Star crystal lighting range that can be found below. 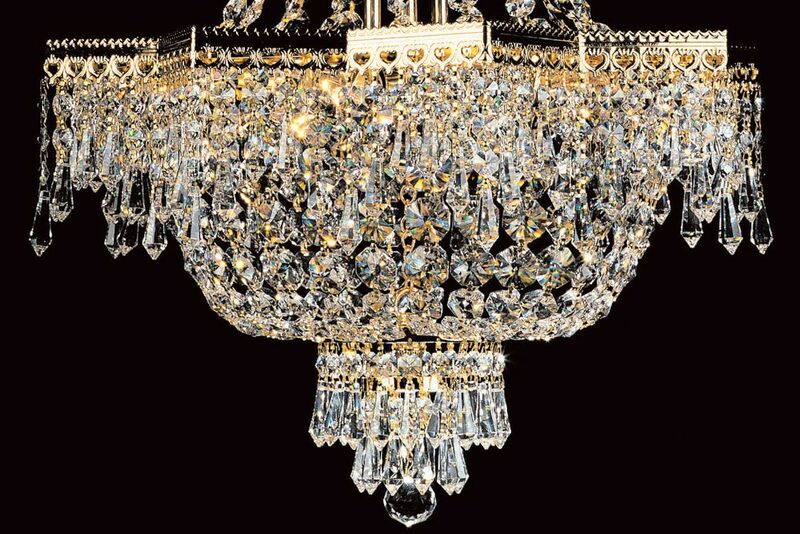 Impex Lighting are one of Europe’s leading manufacturers who supply a comprehensive ranges of fittings in contemporary, traditional and classic styles like the Star Empire style 5 light Strass crystal chandelier in gold plate featured here.